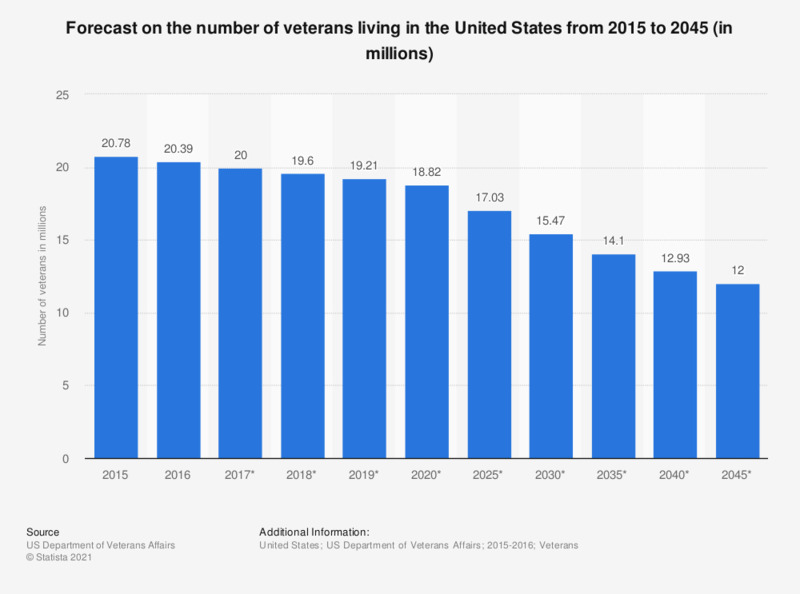 This graph displays the number of veterans living in the United States in 2015 and 2016 with additional projections up to year 2045. There were a total of 20.39 million veterans living in the United States in 2016. In 2045, about 12 million veterans will be living in the United States.